Staff was great and very helpful. 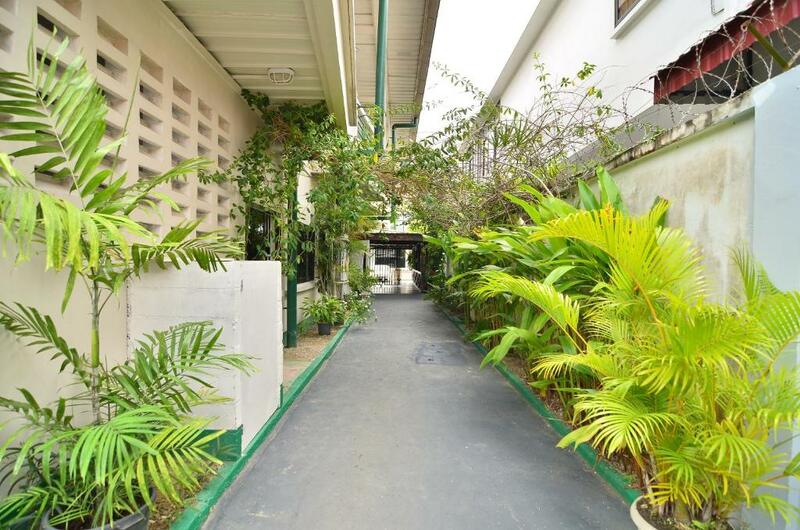 Great location for shopping and minutes away from central part of the capital. Personnel chaleureux et accueillant. Bon emplacement pour du repos et les grands espaces. Sensation d'être retiré, d'être au calme. L'appartement est spacieux et très aéré. 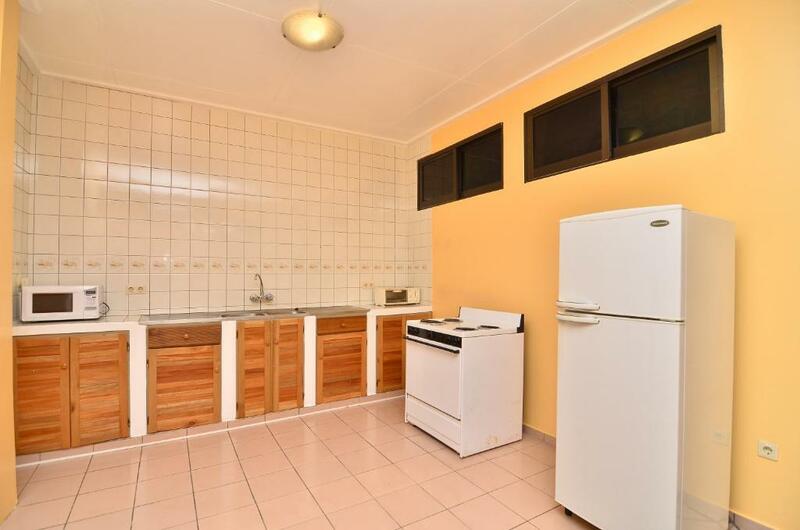 L'emplacement au 3ème offre une belle vue et une excellente ventilation. La literie est bonne et la chambre spacieuse. La piscine est bien et l'accueil par le personnel est top. L’hôtel se trouve sur une grande avenue où les magasins asiatiques ferment tard. J'ai beaucoup aimé la piscine, l’accueil. La wifi est assez fluide. Les lits sont confortables. La situation géographique, un quartier tranquille avec tout ce qu'il faut autour pour se détendre, se désaltérer, pour faire du shopping, son marché et un appartement spacieux idéal pour une famille. 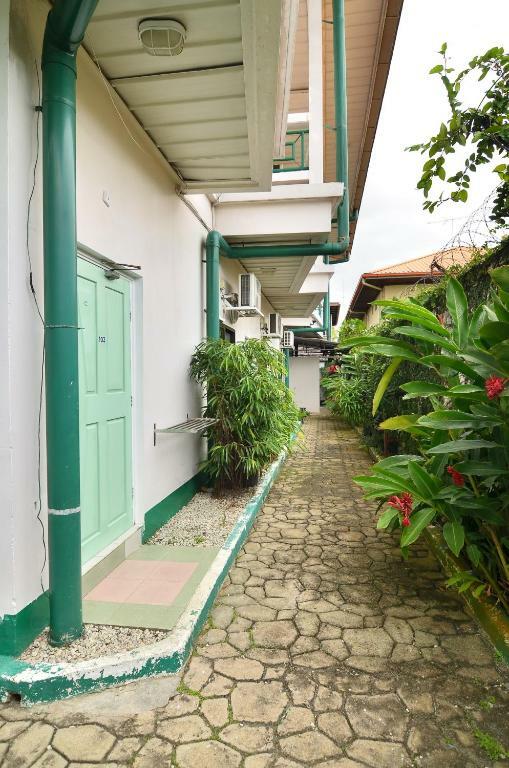 Tran Elite Hotel Apartments This rating is a reflection of how the property compares to the industry standard when it comes to price, facilities and services available. It's based on a self-evaluation by the property. Use this rating to help choose your stay! 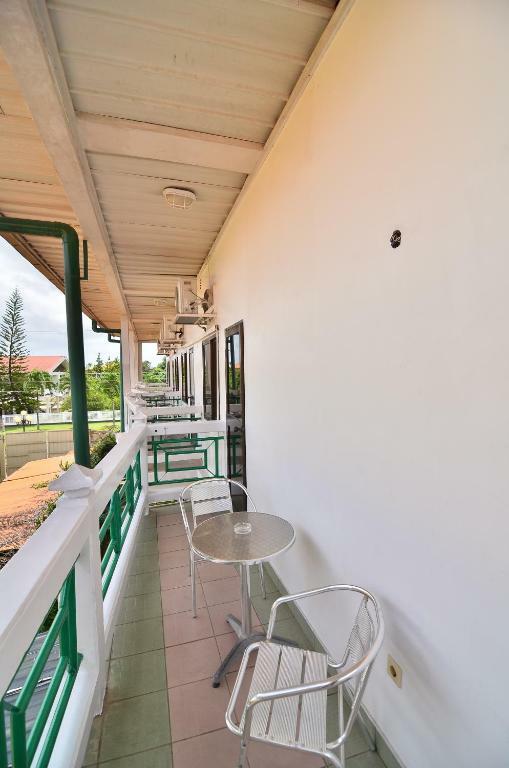 Featuring an outdoor pool and a garden, Tran Elite Hotel Apartments offers free WiFi and free parking in Paramaribo city. The rooms in Tran Elite Hotel Apartments feature a TV and a private bathroom. Room service is provided. The transport service includes a shuttle from the airport and 24-hour taxi service at a fee. Paramaribo’s financial center is 1.2 mi away and there is a bus stop in front of the hotel. 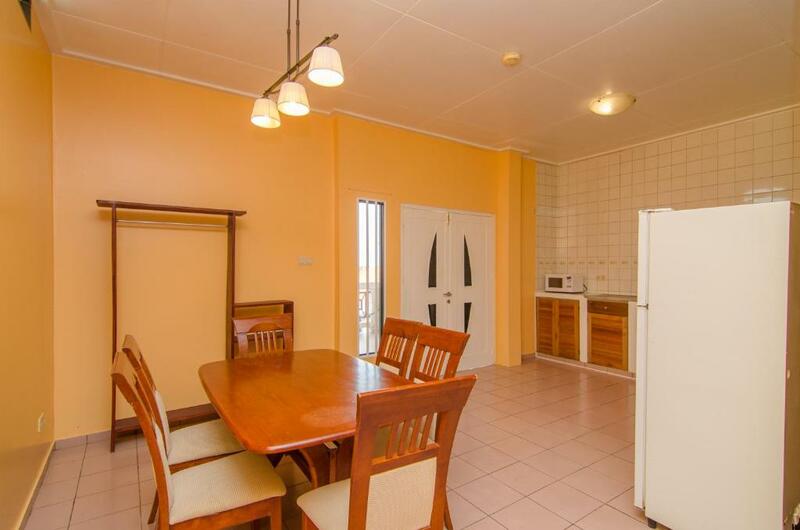 There is a shopping center 0.6 mi away and the bustling night-life center of Paramaribo is 7-10 minutes away by car. When would you like to stay at Tran Elite Hotel Apartments? 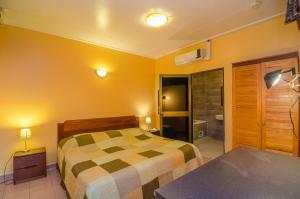 This room is located on the ground floor and features air conditioning and a private bathroom. 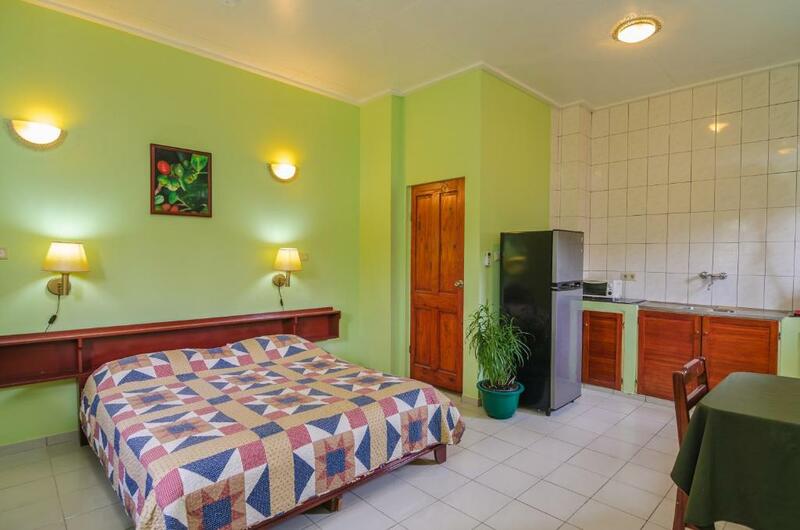 This room is located on the 1st floor and features a TV, a private bathroom, a kitchenette fully equipped, a security deposit box and a balcony. 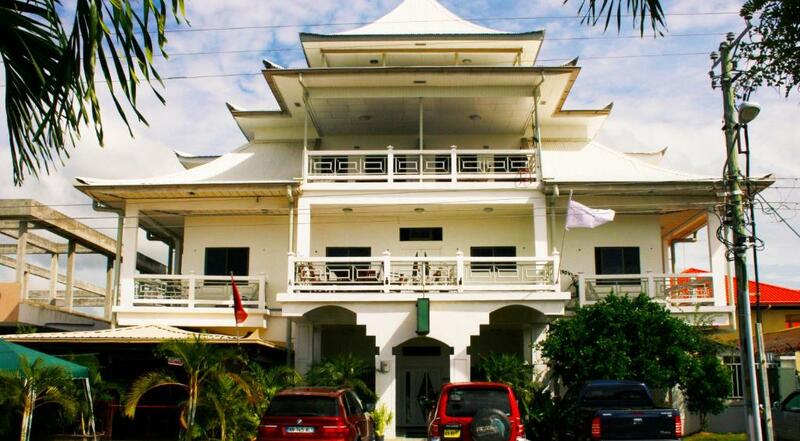 The hotel is situated in the north of Paramaribo just 6 minutes drive away by car from the center. Near the hotel are lots of clothing stores, a Subway sandwich store, restaurants, supermarkets, banks, mall. All of this is on walking distance. House Rules Tran Elite Hotel Apartments takes special requests – add in the next step! Tran Elite Hotel Apartments accepts these cards and reserves the right to temporarily hold an amount prior to arrival. Remember that the electrical outlets are not US or British standard. Small swimming pool was dirty could not use it and i love a pool so i was upset. Never saw any workers but receptionist for my whole stay it felt deserted at one point. They said while booking only one room was left but i have never seen one single guest. Everything was good.very nice folks. That I had to wash the dishes before I checked out. 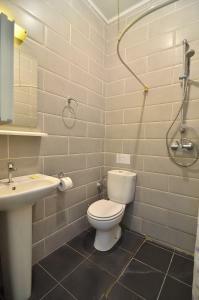 Poor maintenance of the housing facilities e.g. Refrigerator, television malfunctioning. Hidden locations of light switches.